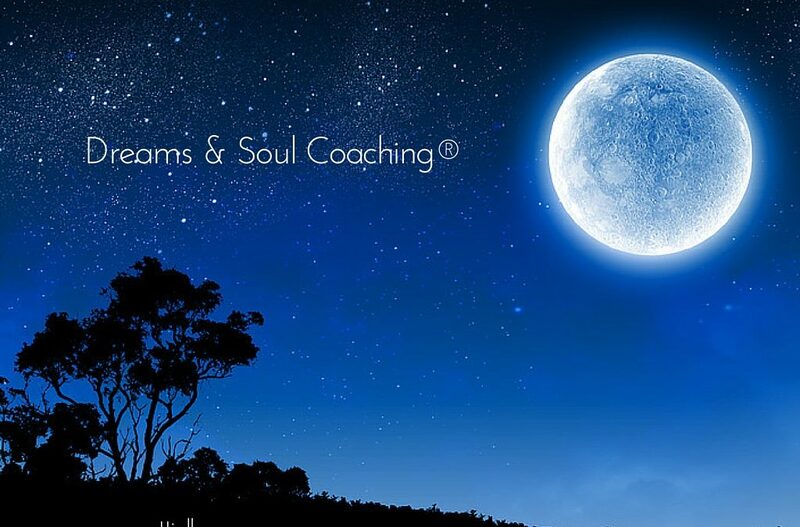 Dreams & Soul Coaching® have been walking hand in hand for years. Let me explain. I’ve been curious about dreams since 1980 when, pregnant with my third child and having had an interesting dream, I happened to catch an interview with Dr. Gayle Delaney on the the morning radio show I was listening to while juggling children and coffee. But the first time I became aware that dreams were hinting at something larger than my own personal psychology was in an unlikely place for a revelation. The year was 1997 and I was sitting by the hotel pool on a very hot Philadelphia weekend. A friend’s son had just celebrated his Bar Mitzvah and my kids, numbering four, were cooling off in the pool along with all of Philadelphia it seemed. I sat in a lounge chair, watching the kids, watching people and reading Joan Borysenko’s “Fire in the Soul”. A Fire in MY Soul! With that sudden understanding, I could now see what wasn’t there a moment before. In that moment, I reconnected with my Creator, with myself and to all dreamers in a way that I wasn’t connected before. Before, I felt like an orphan; now, suddenly, I belonged. Before, there had been an intellectual understanding of the psychology of dreams, now it was personal and it was spiritual. In some small way, I might say that my life is the story of one woman’s journey and search to remember the dream she had of herself, of God and of all creation, all while cooking dinner, raising four children, running a psychotherapy practice and Soul Coaching® groups. And these essays are my field notes from the road because as I write this, I am still searching and still dreaming. I’ve been a “Dweller on the Threshold” with one foot in the dream world and one foot on the ground of daily life with its pleasures and its pains. Ironically, the more I dwell in the dream world, contemplating its insights and adventures, the easier it is to access its wisdom and guidance as I find my way in the waking world. I’ve seen the reports of other dreamers and I know I’m on the right path, tracking my Self and Spirit, however many potholes and detours I encounter. We are all “Dwellers on the Threshold” with a foot in both realms, but who has the courage to step over the threshold? Dreamers do. Dreams and Soul Coaching® have been siblings, traveling together, each supporting our inner journeys. In fact, Denise Linn, who is the founder of Soul Coaching®, wrote a book on dreams long before she created Soul Coaching®. So when we, as Soul Coaching® Practitioners, help our clients find the tools of transformation to move their lives forward, dream work is part of the package that I offer. For those who would like to dive deeper into dreaming, I haven’t forgotten you! I am so excited to share that I am creating a course, for deepening and expanding your dream-working skills, for yourself and for others! Dream on, friends, and watch for news on my next creation!